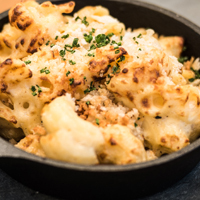 This comfort food done right will have your inner child beeming with joy. Cook the pasta until al dente (to the bite) and toss with olive oil. Allow to cool. Preheat oven to 375° F with rack set in the middle. Melt butter. Add flour and cook until light golden brown. In a separate pot, heat half & half. Slowly whisk butter and flour mixture into heated half & half. Bring mixture to a simmer. Add Velveeta. Once melted, turn off heat and add remaining cheeses. Whisk until the cheese is incorporated and cool. Once cooled, blend until silky in consistency. Combine cooled sauce and pasta together. Transfer into a baking dish. Cover with parchment paper and foil; bake until heated through and bubbling, approximately 30 minutes. Remove cover and continue to cook until cheese sauce is caramelized and top is golden brown. Serve immediately. 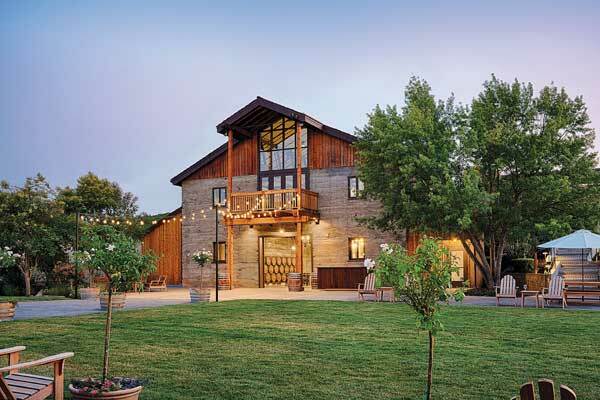 Named to honor Joaquin Murrieta, who first discovered the historic estate in the 1800s, Murrieta’s Well specializes in terroir-driven, limited production wine blends from its estate in the Livermore Valley.